Visiting Amsterdam and looking for the vegan hotspots? 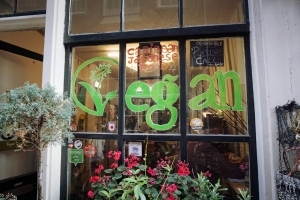 Most restaurants in Amsterdam actually have vegan options! Amazing! Skip the coffeeshops (hahaha) and head to these restaurants! 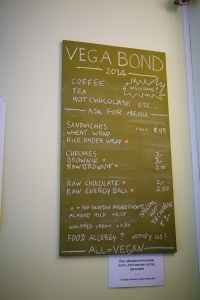 VegaBond is a vegan store for food items and also a little cafe! 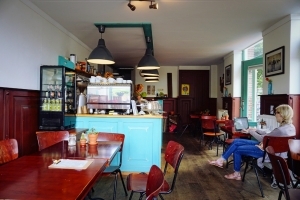 It has fresh lunch, cakes, juices and coffee. 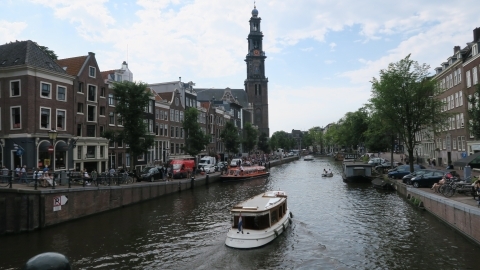 It has a small but very cute seating area with a good view of the canals. 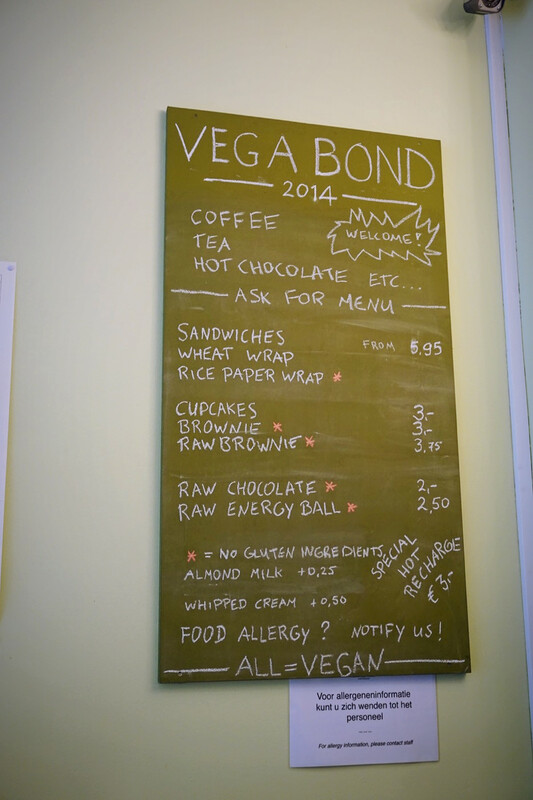 A lot of their lunch food items include vegan meats and cheeses, so this was a cool first spot for us to check out! Small servings sizes, but their smoothies are so good! 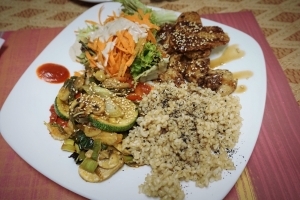 The TerraZen Centre is a 100% vegan restaurant serving Japanese and Caribbean food. 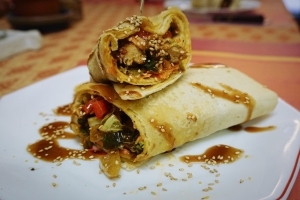 They have classic Asian dishes like sushi, noodles, and spring rolls combined with other options of burgers, pancakes, and delicious desserts. 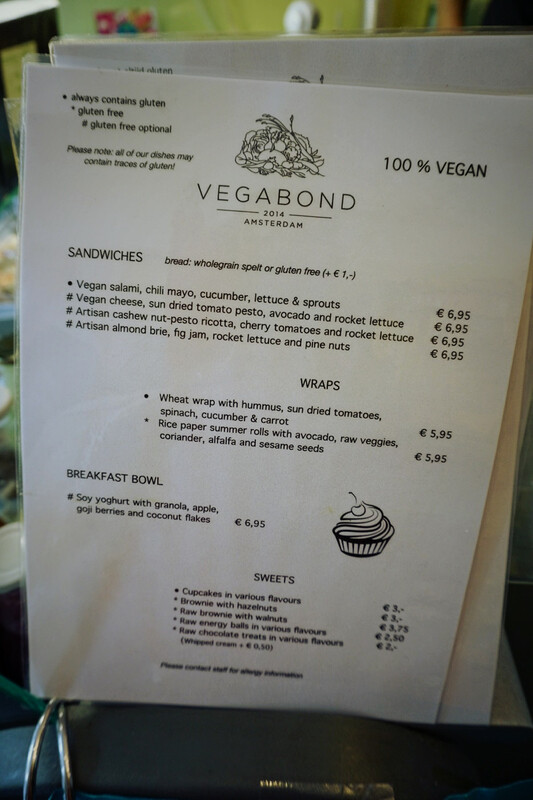 I also found it quite funny that they served a “non-dog” sandwich…hmm… interesting but I couldn’t get myself to try it! 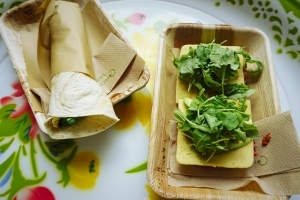 They believe in health and sustainability which is why they aim to use only the best ingredients. 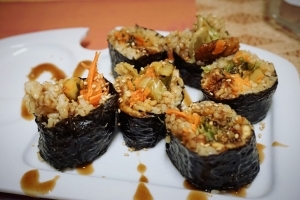 What I love is that they only use brown rice instead of white–more fiber! Shae and I loved the TerraZen Centre. The ambience feels like you’re sitting right in someone’s home being served a fresh home-cooked meal! We even shared a big table with others and we were sitting across from people we had never met. 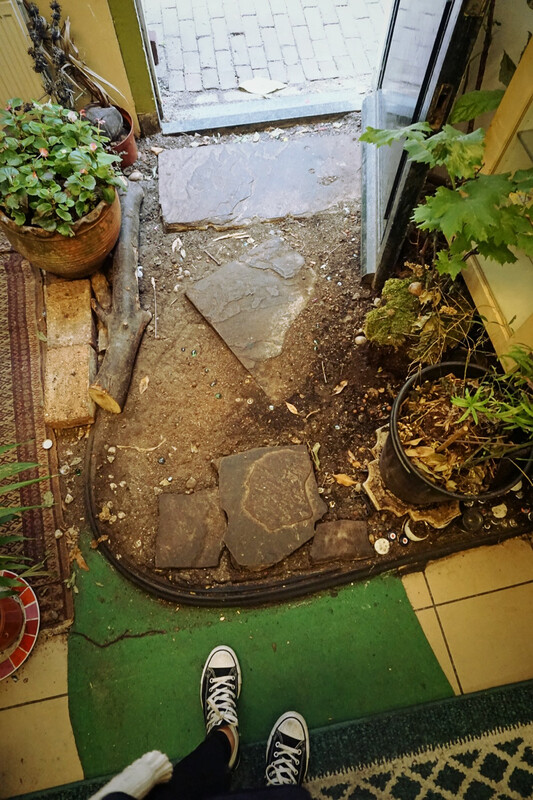 And when you walk in, you walk in on a dirt path with stones that feels like you’re walking through a garden–very cool. 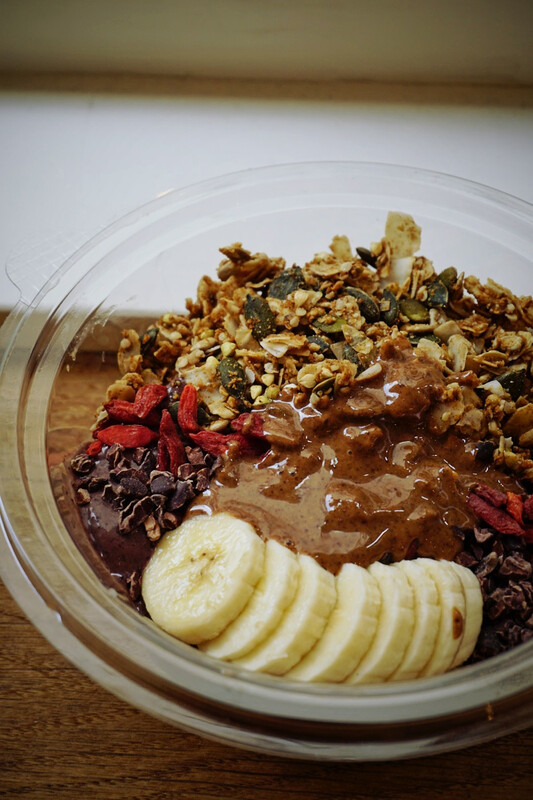 Even though you can find juices, smoothies, and acai bowls in America, I can’t help but look for acai bowls everywhere I go. It’s one my favorite foods and it makes me feel amazing. 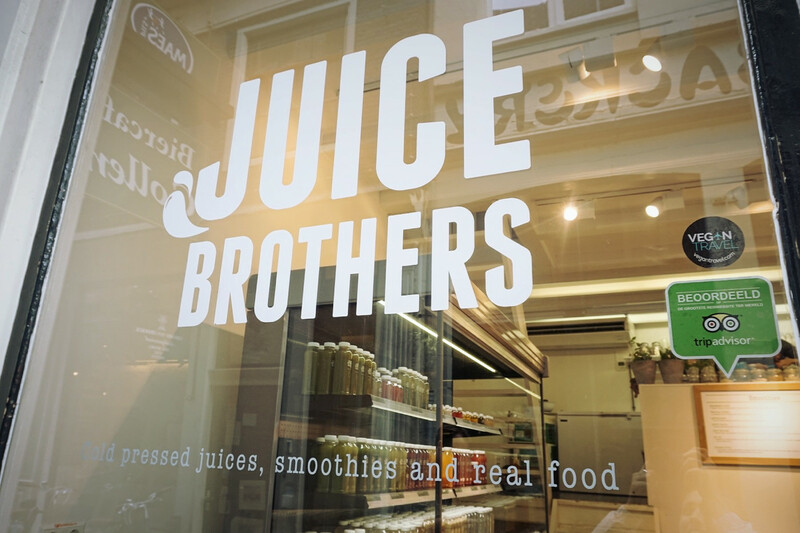 JuiceBrothers has a couple different locations throughout Amsterdam and we happened to run into one! 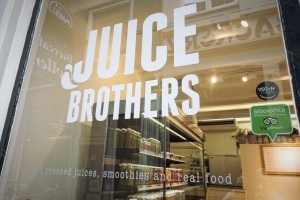 They have cold-pressed juices, smoothies, acai bowls, and a few treats. 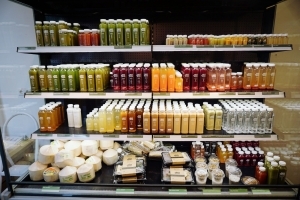 Fun fact: Did you know that “cold-pressed” juice contain more vitamins than juice concentrate or pasteurized juices? 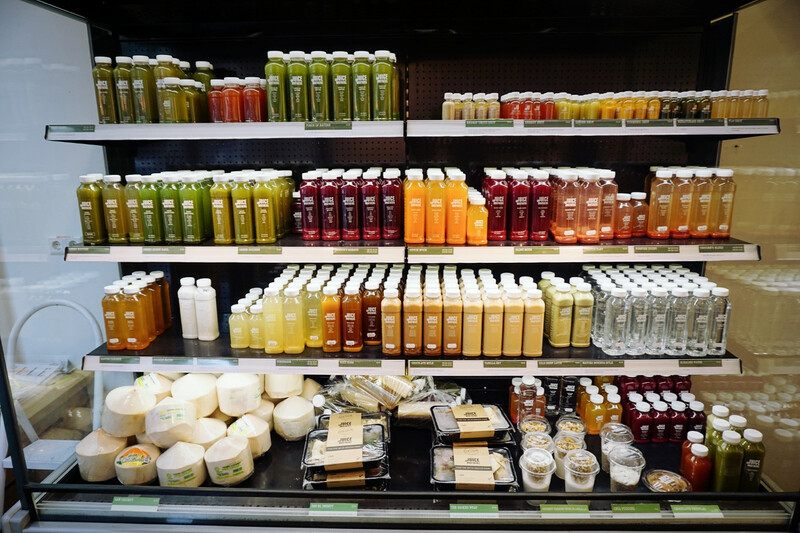 That’s because when you pasteurize juice, the heat destroys many of the original vitamins! 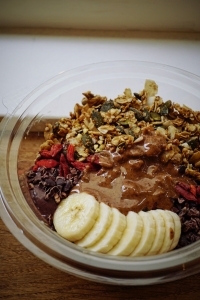 We got acai bowls twice during our stay in Amsterdam and also tried a variety of their juices. 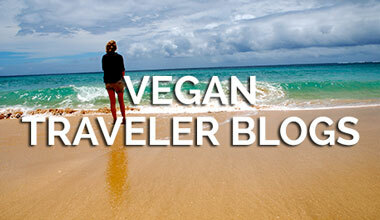 My favorite was the Chocolate Mylk! 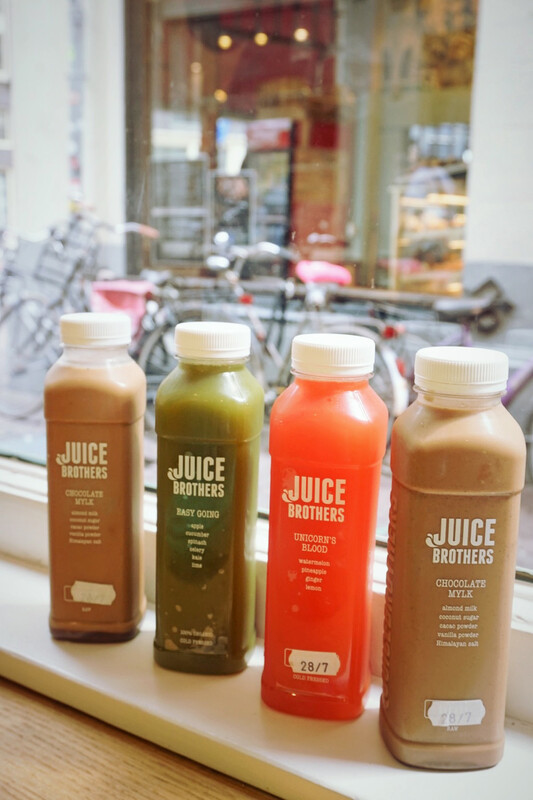 If you’re looking to re-energize with something healthy and delicious, try JuiceBrothers. You’ll feel amazing after being filled up on vitamins, minerals, antioxidants, and fresh tasting organic fruits and vegetables. Koffie Ende Koeck is a fully vegan bakery and cafe located on the West side of Amsterdam serving breakfast, lunch, high tea, pastries, desserts, sandwiches, tea, and coffee. 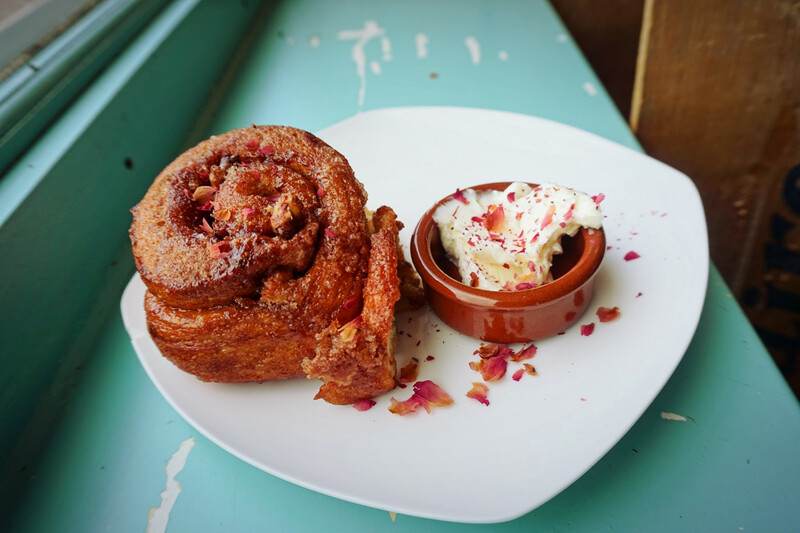 The sweet smell when you walk into the cafe of freshly baked pastries is enough to make you fall in love with this place. 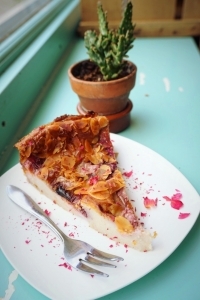 Their variety of delicious options can be just what you need for a light snack and some tea. I tried their chocolate chai which was the best chocolate chai I’ve ever had, and I used to work at Teavana! Then Shae and I split two desserts: a Cinnamon Roll and a French Berry Cheesecake. Perfection is to say the least. 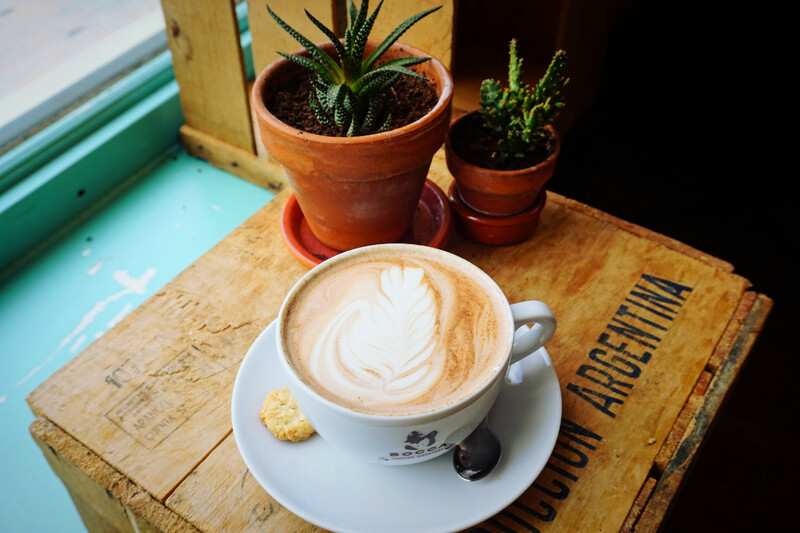 It was a lovely afternoon hanging out at Koffie Ende Koeck. You must go, and remember to bring cash–they don’t take cards! Cinnamon roll with BUTTER! YAS! 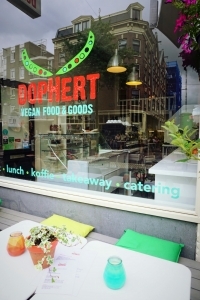 Unfortunately we didn’t get the chance to actually eat at DopHert because we stopped by right between Lunch and Dinner, but we heard amazing things! 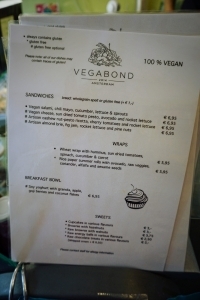 Everything is vegan and they serve cafe items such as coffee, tea, and pastries, lunch foods like a club sandwich or salads, and dinner where you can get a vegan burger or have a full 3 course meal offered 3x a week. 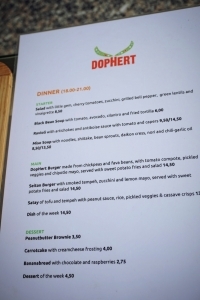 If I had the chance to go back, I would definitely check out the extensive 3 course meal! 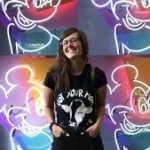 So please, do me a favor and try this place out so I can hear all about it! 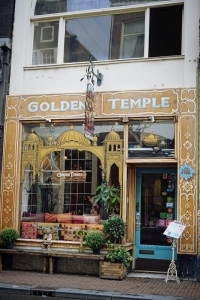 The Golden Temple is a vegetarian restaurant serving a variety of vegan dinner options. They have Indian, Middle Eastern, Southeast Asian, Italian, and Mexican inspired dishes–oh my! 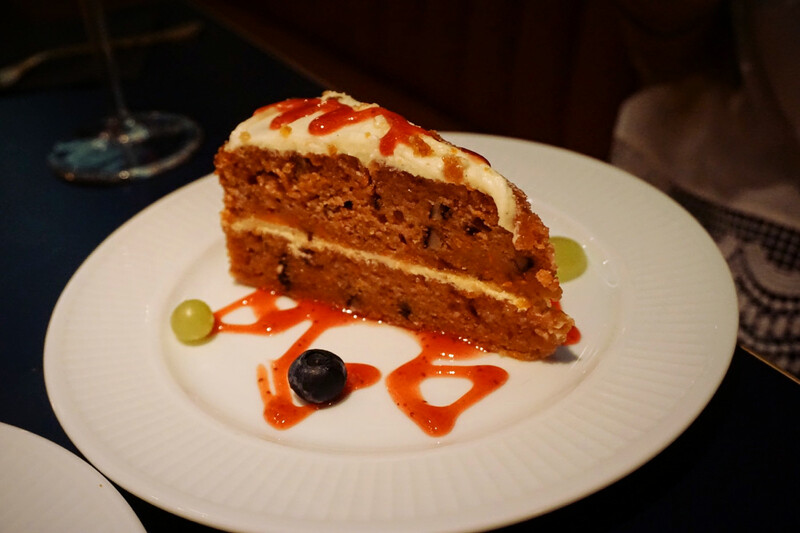 Really anything you could want…and more (cue the dessert menu). The atmosphere is incredible. Definitely one of my favorite places just based off of the decor and Buddhist inspired ambience. We sat at a large shared table with floor seating where I was accompanied by the restaurant pup who was incredibly snuggly. 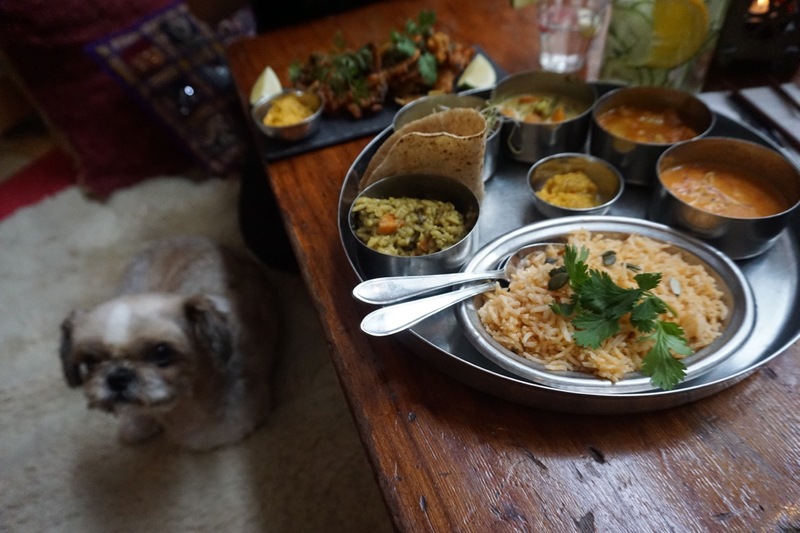 I recommend trying the “Flavours of India” dish where you get a sampler plate of many of their curries, chutney, and rice. 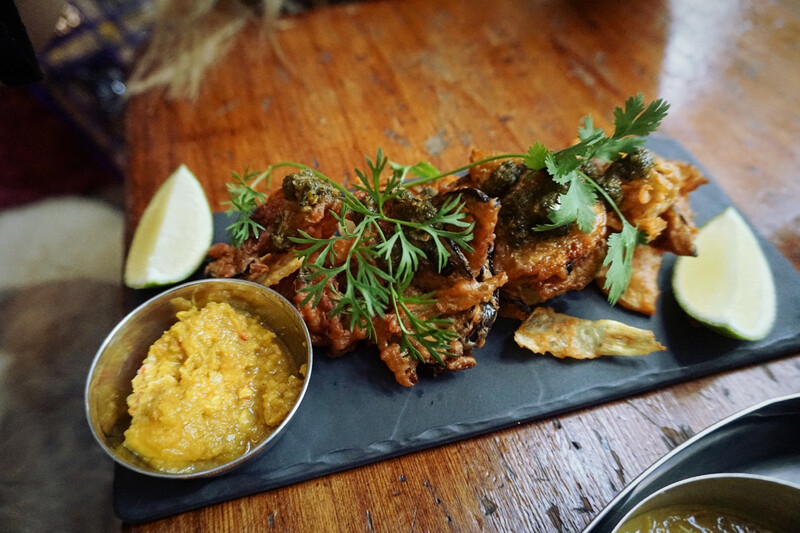 We also got the Pakora which is deep fried vegetables in chickpea batter served with mint chutney. It was good, but the fried-ness of it wasn’t my favorite. But if you enjoy fried foods, go for it! 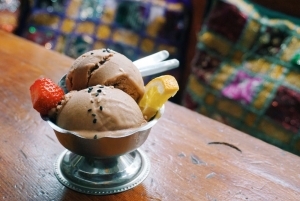 Then I of COURSE (typical Marissa) noticed that there was vegan ice cream on the dessert menu and the waiter informed us that they just created a new chocolate ice cream recipe–I had to have it. It was so delicious and had a nice hint of cinnamon/nutmeg spice to it! Ice cream is perfect after an indian meal for some reason. 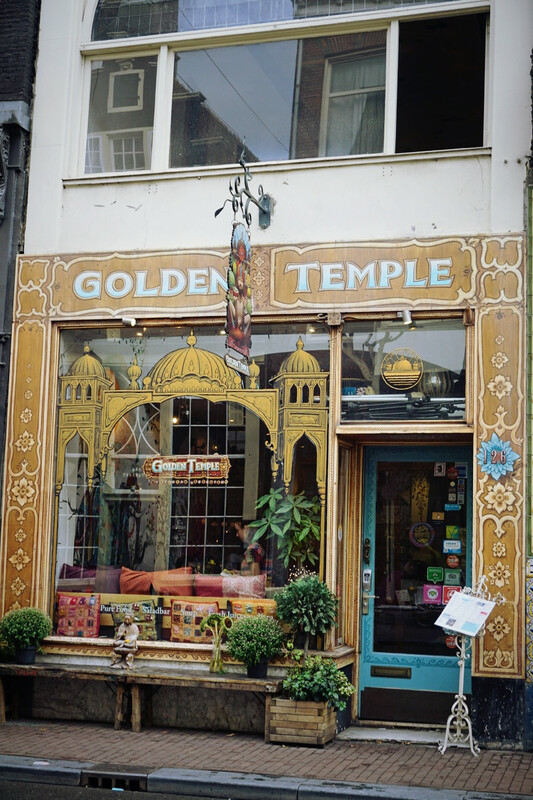 Golden Temple is a great place to go with a group of friends to share and sample different dishes. 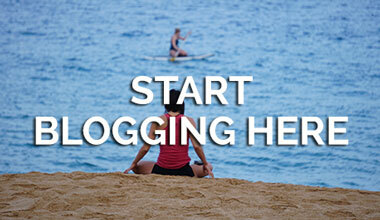 Sharing might also help your budget…it’s quite expensive! Taste of India Sampler featuring the friendly pup! 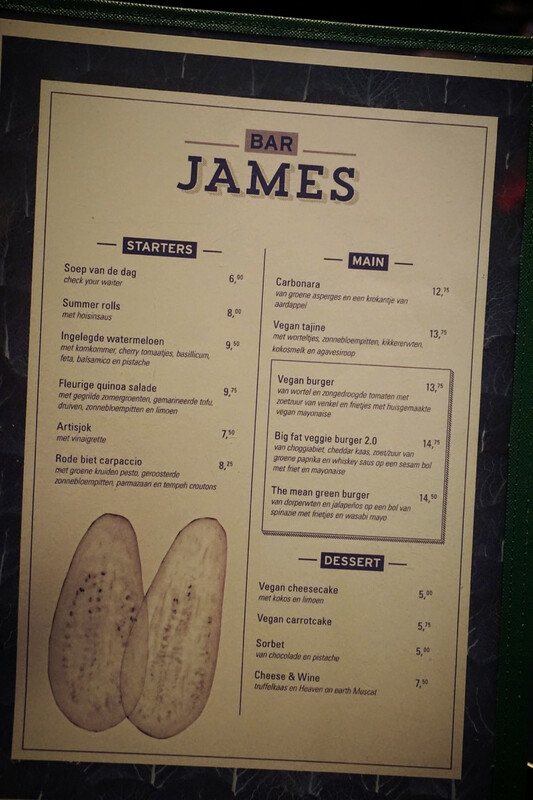 We went to Bar James on a whim after a long day because it was close to our hostel in East Amsterdam. 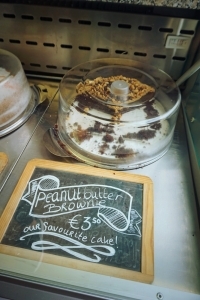 We saw it was completely vegetarian with some vegan options so we thought why not! 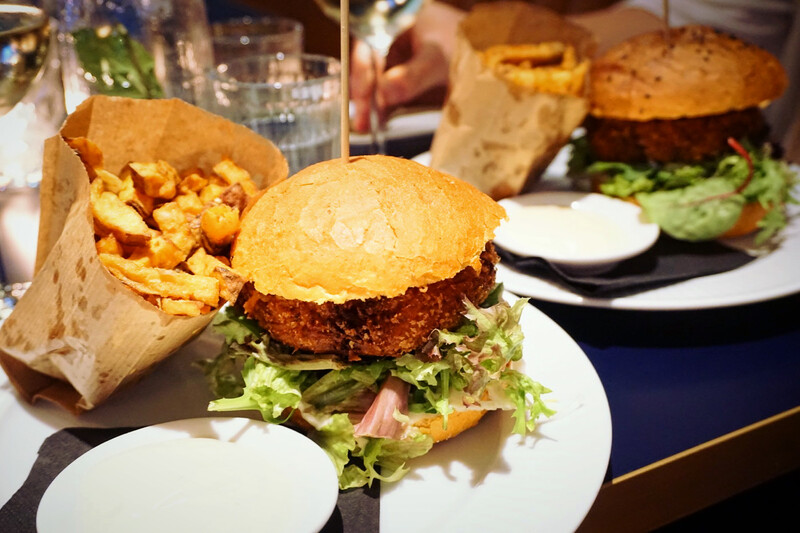 Turns out that spontaneous decision brought me to my favorite veggie burger ever… really I mean ever. Why? Because it was made out of my favorite food: Sweet Potato! 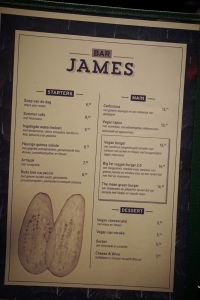 Bar James has a very relaxed typical bar atmosphere with really delicious typical veg bar food like began burgers, meatballs, fries, and some not-so-typical bar food like a quinoa salad and spring rolls. If you want dessert go for their carrot cake over the cheesecake. 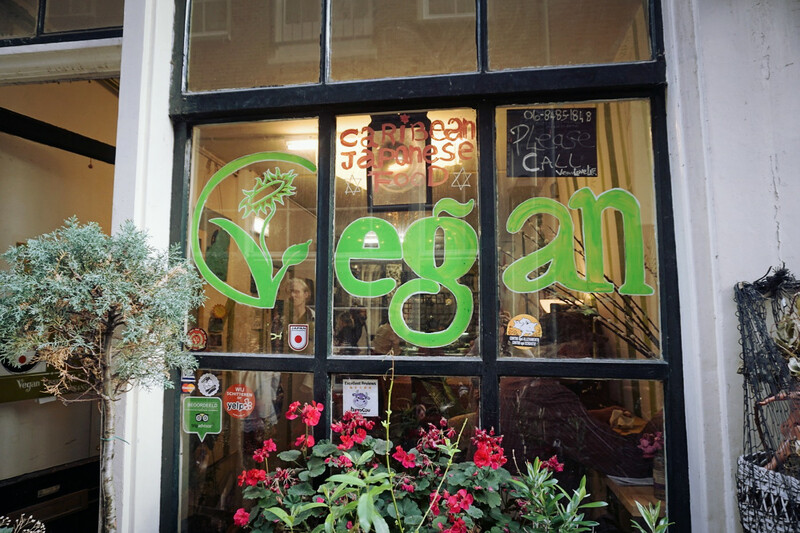 The best part of all of this might be that their wine is 100% vegan! It’s not often that you can actually get your hands on some good certified vegan wine. 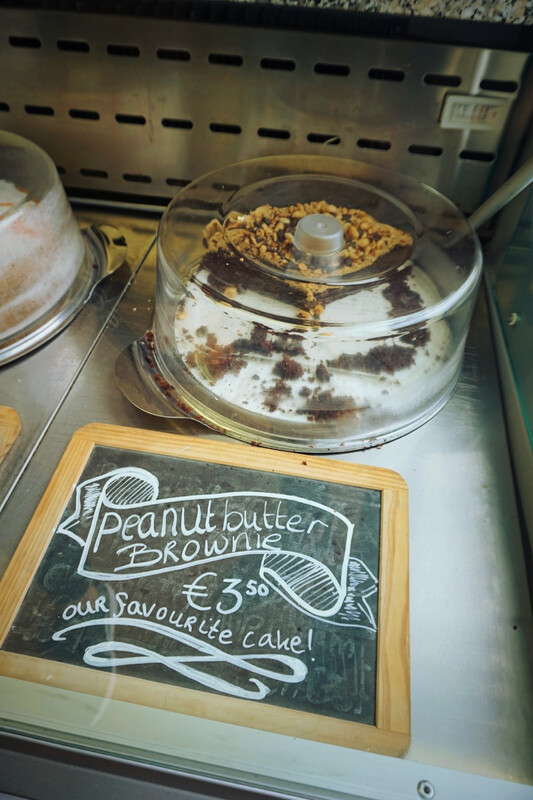 Apparently there’s also some amazing pancakes for breakfast–just another reason you need to check this place out! 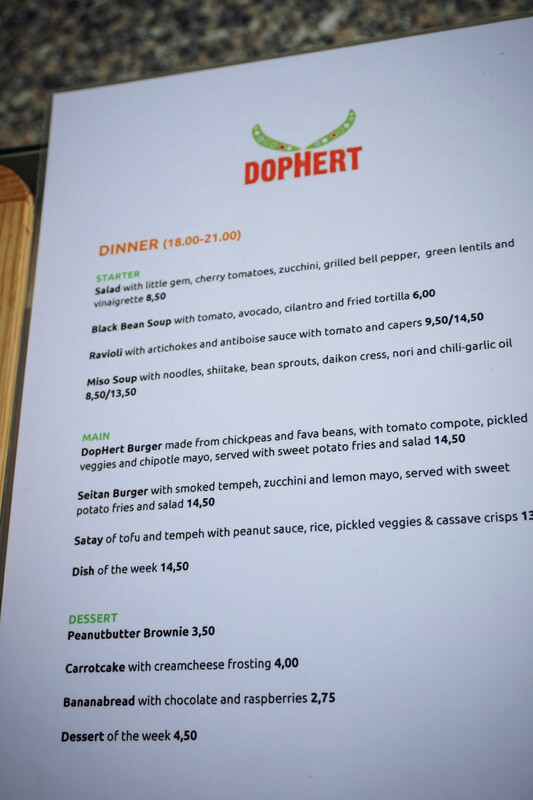 Their menu is in Dutch, but they’re more than happy to help you decide what to get! 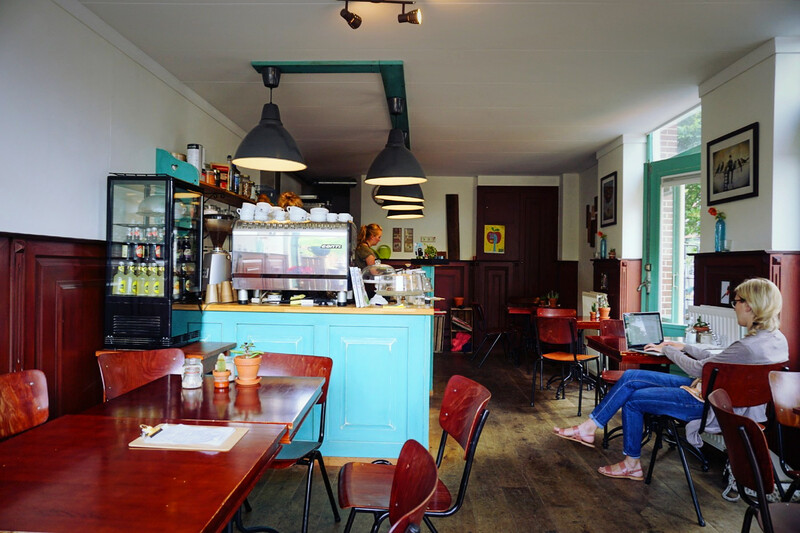 If you’re looking to save some money (who isn’t) then here are some tips for eating budget-friendly while in Amsterdam! Wow, never heard that before have you? But seriously, we saved so much money by eating oatmeal for breakfast every morning and having pasta for lunch or dinner some days. We were lucky enough to have a kitchen to cook in at our hostel, ClinkNOORD. If you don’t have cooking capabilities, no worries! You can stop at a street market and pick up a ton of fresh fruit to munch on or have a mono-meal. 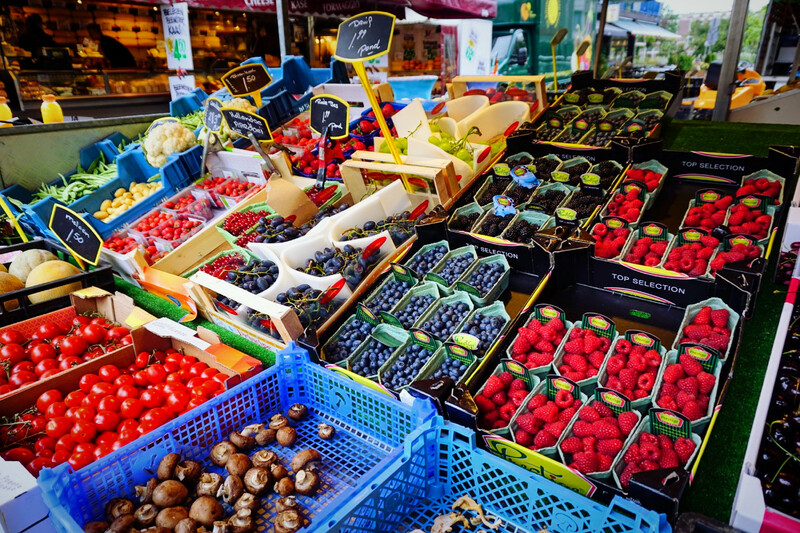 There are local street markets EVERYWHERE! 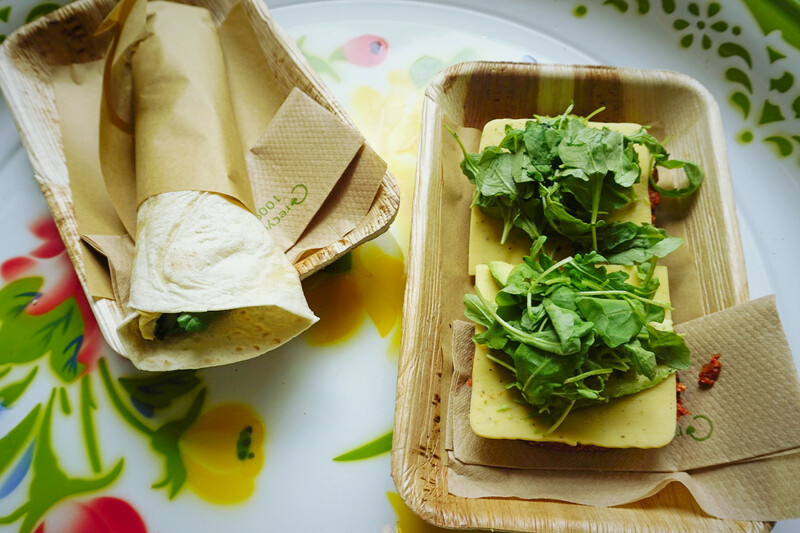 Also, you can get bread and hummus with some veggies to make sandwiches! Cheap and easy! 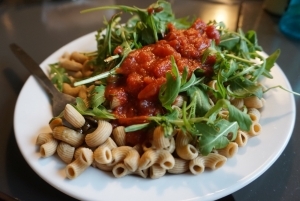 Quinoa pasta with arugula and sauce! 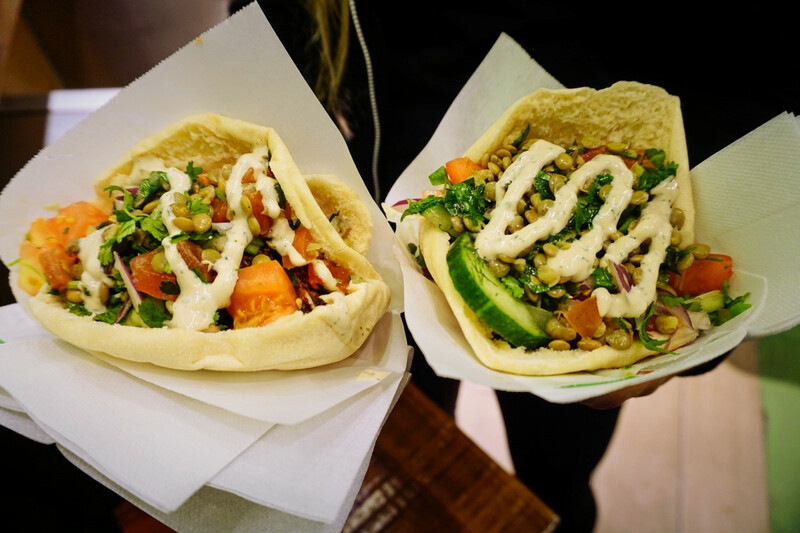 Maoz is a super cheap, super delicious falafel fast-food joint all around the world and they just so happen to have a few in Amsterdam! 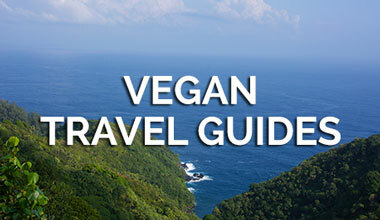 It’s totally vegetarian and most of the items are vegan. The one in Amsterdam was also self-serve and you could go back up as many times as you wanted to refill your pita pocket! Amazing! $5 for an all you can eat falafel pita? Sign me up everyday of my life please. 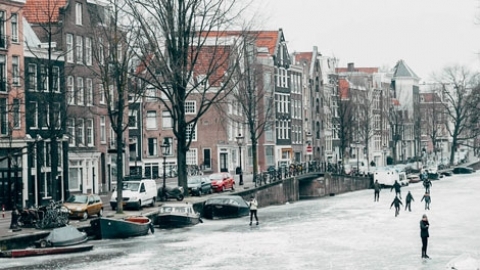 Thank you Amsterdam for the full bellies and rich memories! I know I will be back!